Pack of SIX! 2-Storey buildings. 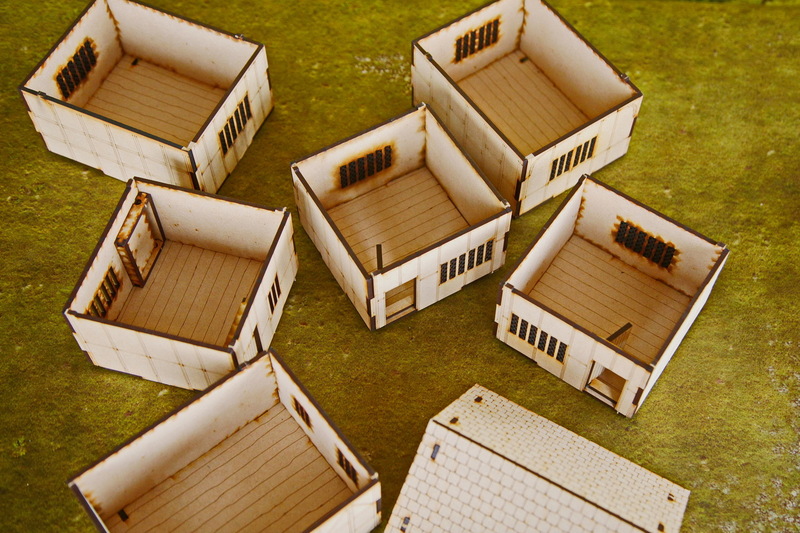 Six Modular building sets of 18 modules mix and match to create the map and terrain you need. 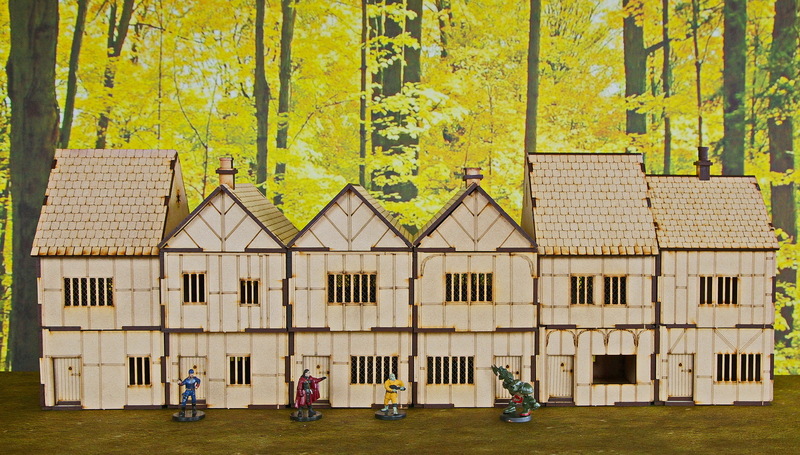 Single buildings, towers, streets or villages all easily made up and quickly. Swap ground floor, upper stories and roofs to make the buildings you need quickly and easily. Large buildings fit with the smaller buildings perfectly. This pack includes 18 modules in all, 6 buildings each with 2 floors and a roof. Enough to make a decent street worth of buildings or a little village. Mix them up for 1, 2 or 3 story buildings. Makes part of a street or individual stand alone buildings. Fully compatible with all our other building sets. 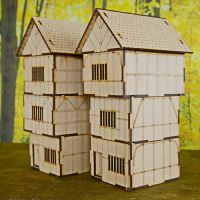 The buildings are loosely scaled as heroic 28mm or 1/48th to 1/56th - but will fit any typical mini from 1inch to 1.5inches - 25mm to 36mm. 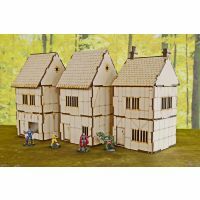 The buildings are based on a 4 inch (10 cm) square, so depending on your scale work out around 12 to 20 feet across. Each floor is around 2.5 inches (6.5 cm) tall. The height does vary depending on the building style. Doorways are oversized to allow figures to move through doors and windows. Buildings are for gaming rather than realistic dioramas. The rooms are designed for maximum gaming flexibility, rooms will have 1, 2 or 3 doors and 1 or more windows and blank walls. You don't have to face the doors to the front of course. Upper floors have optional openings into the floor below. Roof modules do not have a figure space, you can use the half height room extension to create a useable roof space. For accessories like windows and doors you can use any glue - I recommend a Pritt stick or any paper glue stick - there is no mess with these.